I hate to leave people in suspense. We left off with the refrigerator being balky on propane back at Sylvan Lake, so let me start by saying we have a good theory as to what happened with that. By the morning the fridge was running well again and our trip to Fort Collins was thankfully uneventful. When we got parked at the campground and settled in for the three-day rally that’s going on here, I started calling the Brain Trust and local propane suppliers to try to get an answer as to why we had trouble. The leading theory is that oil and heavy hydrocarbon contamination (from a variety of sources during processing, transportation, and storage) has formed a gooey clog in the line. This clog usually has a strong smell because the ethyl mercaptan used as an odorant in propane concentrates in the oily residues. So people assume it is the odorant, but it’s really oil. Whatever—I just want to get rid of it. Since things are currently normal, we’re going to keep an eye on it for the next week and then do a preventative service in Ohio with Super Terry. We’ll disconnect the propane line and blow it out with compressed air, clean the refrigerator jet if it needs it, and inspect the pigtails that attach to the propane tanks. I’ll be interested to see what comes out. Meanwhile, we’re at a rally, and it’s a good time. We haven’t attended someone else’s rally in years, and it’s nice to kick back and be a customer for a change. The Rocky Mountain Airstream unit is composed of some really great people, including quite a few folks who have been friends for years (but who we haven’t seen in a while) so it’s also a sort of reunion. What I really like about these events is the opportunity to see some exceptionally rare Airstreams, or just interestingly modified ones. The pair above is a polished Argosy 20 motorhome pulling a polished Argosy 24 trailer. Argosy trailers had galvanized steel roof end caps, which doesn’t polish up nicely. That’s why the owner (Patrick Phippen) painted them black. This is a one-of-a-kind trailer. 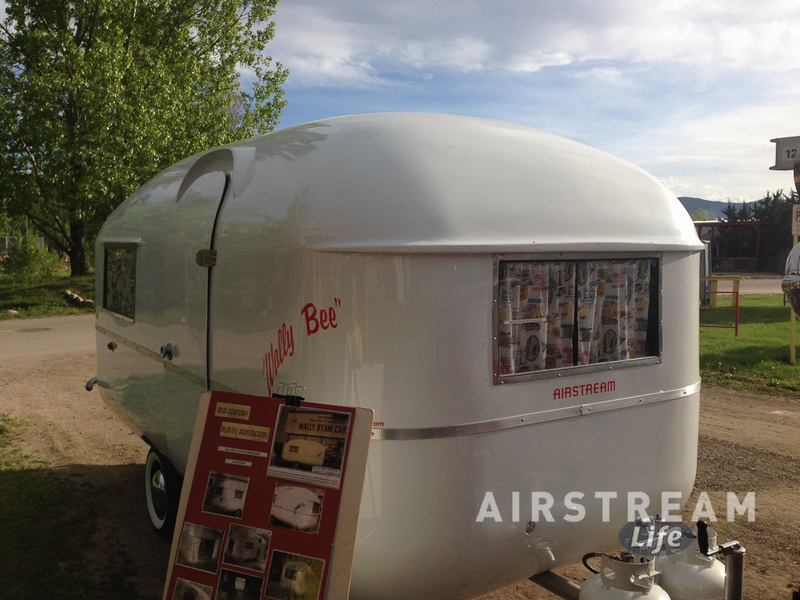 The Wally Bee was a prototype fiberglass trailer from the early 1950s, of which two were made. Only this one survives, and it was just a ragged shell when Luke Bernander saved it. The outside is done, beautifully, and he’s at work on the interior. 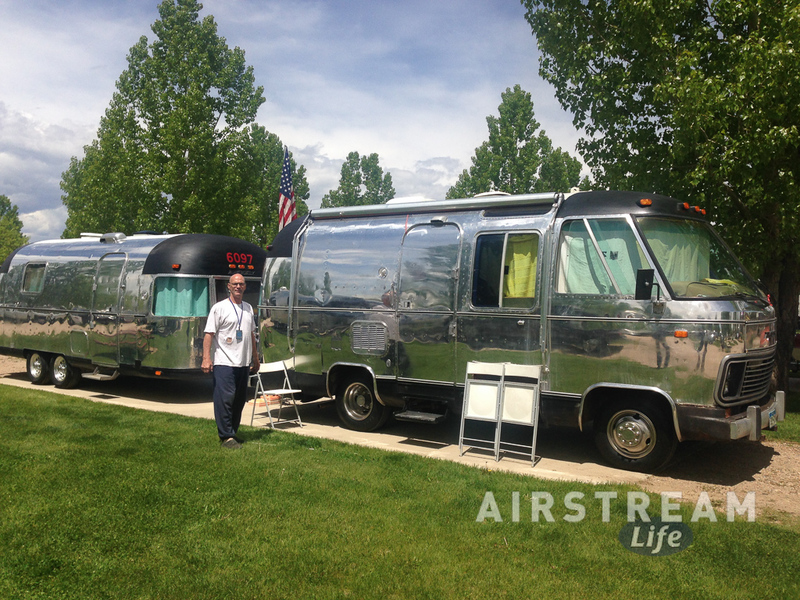 It’s kind of neat to see in the context of Airstream’s recent announcement about launching the Nest fiberglass trailer, which resembles this slightly. Over 60 years later, they’ve come full circle. And of course you don’t just see cool trailers at these things. 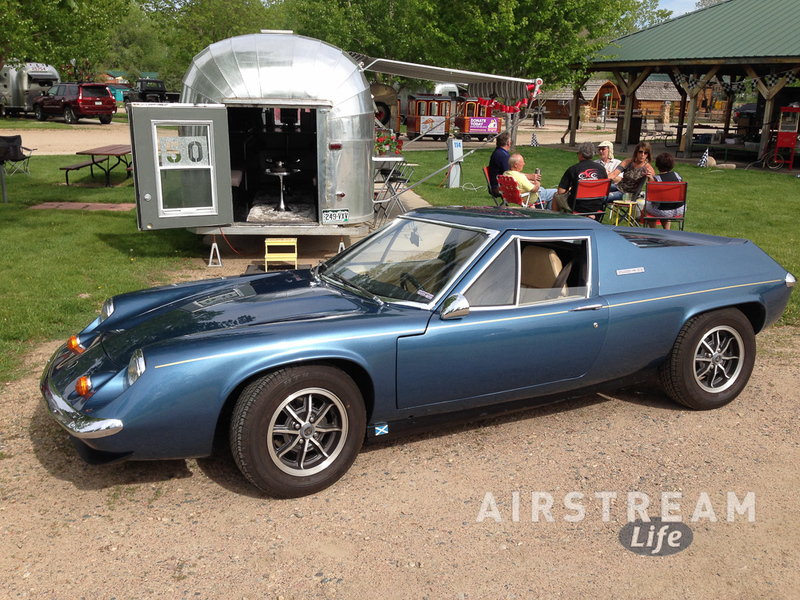 In the foreground of the photo above is a 1972 Lotus Europa. It’s absolutely beautiful and I couldn’t stop looking at it. Never seen one before! Behind it is a customized 50’s Airstream turned into a mobile bar. There are two mobile bars at this event, which kind of gives you a peek into the party-hearty nature of this WBCCI unit. I’ll be sorry to leave tomorrow. This has been a great opportunity to catch up and relax a bit, and Fort Collins is a cool town with a lot going on. We could stay another day or two but it’s a choice between that and some other things in Nebraska or Chicago that we are considering, so I think we’ll be moving onward. I’m not sure where we will be the next couple of nights, but one thing is certain: we must cross the vastness of Nebraska. Might as well get a start on it.